Peacefully at the Provincial Palliative Care Centre on Wednesday, November 7, 2018 of Joan Birt of Charlottetown in her 82nd year. Wife of the late Daniel Birt and the late Jack MacPhail. 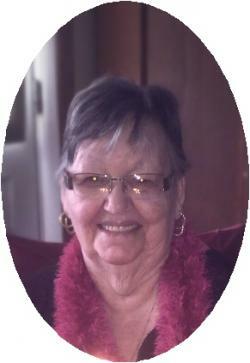 Dear mother of Darlene Gallant (deceased) (Ivan), Norman (Cindy) and Josephine Harvie (deceased) (David Doucette). Loving grandmother of Danny Gallant and Angela (Ashraf) Lafi, Alicia and Jillian Birt, Kayla Harvie and great-grandmother of Alyssa, Owen, Jace and Isabella. Joan is also lovingly remembered by her sister Una DesRoches (Reggie) and special friend Linda Keane. Resting at the Hennessey Cutcliffe Charlottetown Funeral Home from where the funeral service will be held on Monday, November 12th at 3:30 p.m. in the funeral home chapel. Visiting hours on Monday from 1:00 to 3:00 p.m.